I am, of course, referring to the recent death of Stephen Hawking. There’s no way that I can add anything to the widespread reporting of the very sad death of the theoretical physicist, cosmologist and author Professor Stephen Hawking. Except, possibly, this interesting quirk of fate. For this great man died yesterday: March 14th. 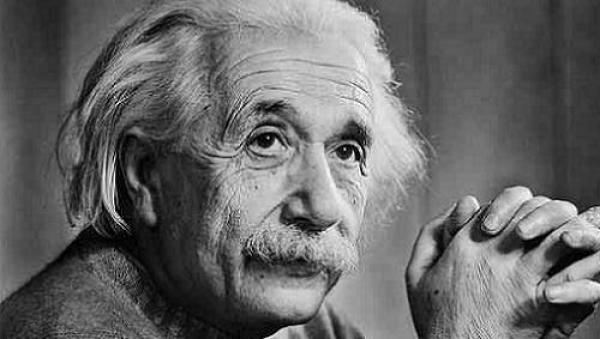 The very same day that another very famous man, the German-born Albert Einstein, was born. As in March 14th. Albeit, Stephen Hawking’s death being 139 years after the birth of the 1921 winner of the Nobel Prize in Physics. Did you also know that Professor Hawking was a great dog lover! Do read the rest of that article. I will take the tribute from Alice Gorman that closes The Conversation article to close today’s post. What a very great man he was! Humanity’s safe and viable future depends on seeing things very differently. Why do I introduce today’s post with that reference to Mr. Einstein? Because I wanted to share with you a recent essay from George Monbiot and an Einstein quotation seemed so apt an introduction. That essay from George Monbiot was published yesterday and is shared with you all with Mr. Monbiot’s full permission. It is an essay that deserves being read slowly and carefully. Please take time aside to so do because it really does offer a new manner of thinking. By reframing the economy, Kate Raworth’s Doughnut Economics changes our view of who we are and where we stand. So what are we going to do about it? This is the only question worth asking. But the answers appear elusive. Faced with a multifaceted crisis – the capture of governments by billionaires and their lobbyists, extreme inequality, the rise of demagogues, above all the collapse of the living world – those to whom we look for leadership appear stunned, voiceless, clueless. Even if they had the courage to act, they have no idea what to do. The most they tend to offer is more economic growth: the fairy dust supposed to make all the bad stuff disappear. Never mind that it drives ecological destruction, that it has failed to relieve structural unemployment or soaring inequality, that, in some recent years, almost all the increment in incomes has been harvested by the top 1%. As values, principles and moral purpose are lost, the promise of growth is all that’s left. You can see the effects in a leaked memo from the UK’s foreign office: “Trade and growth are now priorities for all posts … work like climate change and illegal wildlife trade will be scaled down.” All that counts is the rate at which we turn natural wealth into cash. If this destroys our prosperity and the wonders that surround us, who cares? We cannot hope to address our predicament without a new worldview. We cannot use the models that caused our crises to solve them. We need to reframe the problem. This is what the most inspiring book published so far this year has done. In Doughnut Economics: seven ways to think like a 21st-century economist, Kate Raworth reminds us that economic growth was not, at first, intended as a measurement of well-being. Simon Kuznets, who standardised the measurement of growth, warned: “the welfare of a nation can scarcely be inferred from a measure of national income.” Economic growth, he pointed out, measures only annual flow, rather than stocks of wealth and their distribution. Raworth points out that economics in the 20th Century “lost the desire to articulate its goals.” It aspired to be a science of human behaviour: a science based on a deeply flawed portrait of humanity. The dominant model – “rational economic man”, self-interested, isolated, calculating – says more about the nature of economists than it does about other humans. The loss of an explicit objective allowed the discipline to be captured by a proxy goal: endless growth. The aim of economic activity, she argues, should be “meeting the needs of all within the means of the planet.” Instead of economies that need to grow, whether or not they make us thrive, we need economies that “make us thrive, whether or not they grow.” This means changing our picture of what the economy is and how it works. The central image in mainstream economics is the circular flow diagram. It depicts a closed flow of income cycling between households, businesses, banks, government and trade, operating in a social and ecological vacuum. Energy, materials, the natural world, human society, power, the wealth we hold in common: all are missing from the model. The unpaid work of carers – principally women – is ignored, though no economy could function without them. Like rational economic man, this representation of economic activity bears little relationship to reality. So Raworth begins by redrawing the economy. She embeds it in the Earth’s systems and in society, showing how it depends on the flow of materials and energy, and reminding us that we are more than just workers, consumers and owners of capital. This recognition of inconvenient realities then leads to her breakthrough: a graphic representation of the world we want to create. Like all the best ideas, her Doughnut model seems so simple and obvious that you wonder why you didn’t think of it yourself. But achieving this clarity and concision requires years of thought: a great decluttering of the myths and misrepresentations in which we have been schooled. The diagram consists of two rings. The inner ring of the doughnut represents a sufficiency of the resources we need to lead a good life: food, clean water, housing, sanitation, energy, education, healthcare, democracy … . Anyone living below that line, in the hole in the middle of the doughnut, is in a state of deprivation. The outer ring of the doughnut consists of the Earth’s environmental limits, beyond which we inflict dangerous levels of climate change, ozone depletion, water pollution, loss of species and other assaults on the living world. The area between the two rings – the doughnut – is the “ecologically safe and socially just space” in which humanity should strive to live. The purpose of economics should be to help us enter that space and stay there. As well as describing a better world, the doughnut model allows us to see, in immediate and comprehensible terms, the state in which we now find ourselves. At the moment we transgress both lines. Billions of people still live in the hole in the middle. We have breached the outer boundary in several places. Such proposals are familiar, but without a new framework of thought, piecemeal solutions are unlikely to succeed. By rethinking economics from first principles, Raworth allows us to integrate our specific propositions into a coherent programme, and then to measure the extent to which it is realised. I see her as the John Maynard Keynes of the 21st-Century: by reframing the economy, she allows us to change our view of who we are, where we stand, and what we want to be. Now we need to turn her ideas into policy. Read her book, then demand that those who wield power start working towards its objectives: human prosperity within a thriving living world. Please, wherever you are and whatever your plans are for this long weekend, do take great care of yourself and all your loved ones! My wish for 2017, and for evermore. 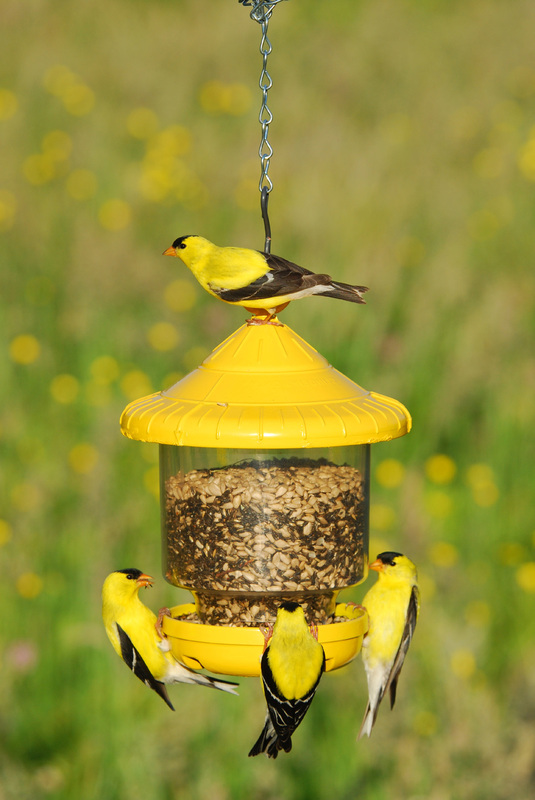 One of the many things that we adore about living here in Merlin, Southern Oregon is the closeness of nature. Not just the nature of the slopes and mountains but the nature of the trees, creeks, grasses and wild plants. Plus the awareness over the 4+ years that we have been here of how easy it is to gain the trust of wild animals. I will go to my grave holding on to the sweet sensation of a wild deer trusting me and Jean to the point where we could stroke the deer’s neck when we were feeding her. 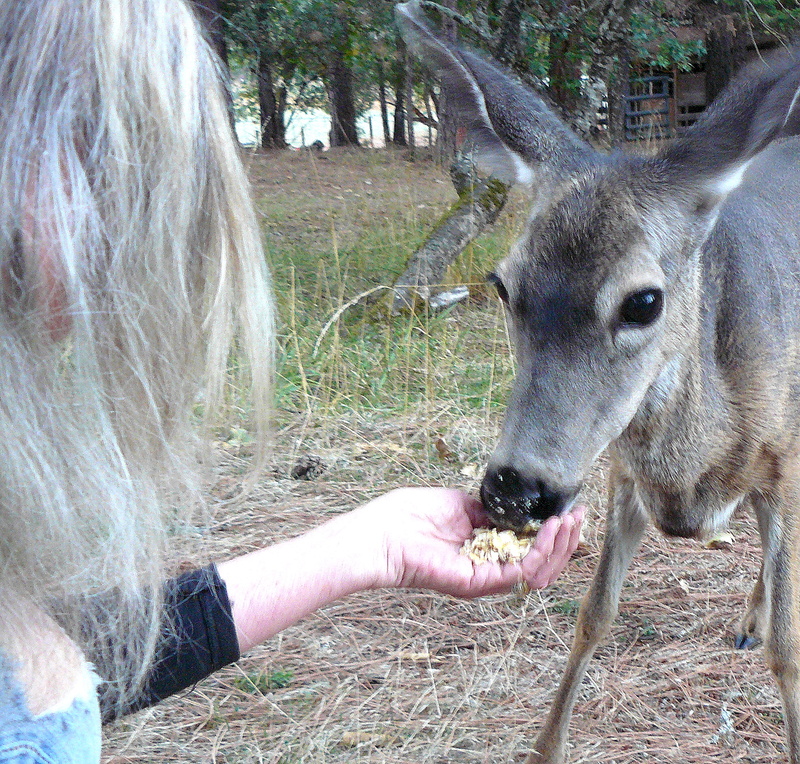 The trust between the deer and Jean then enabled the deer to feed from Jean’s hand. 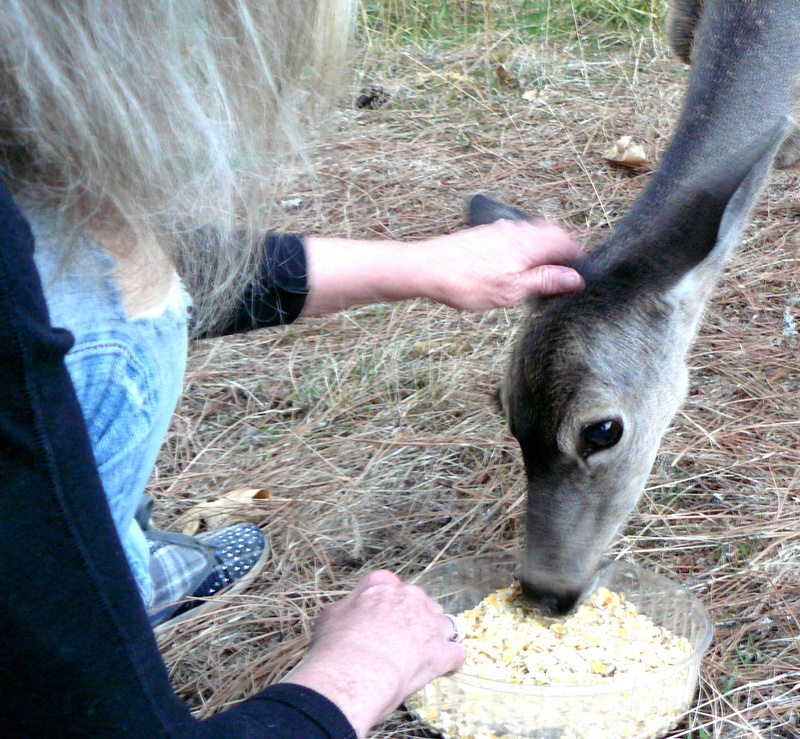 Then, unbelievably, the wild deer continues feeding as Jean fondles the deer’s ear. The measure of how we, as in humanity, really feel about the only home we have, as in Planet Earth, is how we regard our planet. The pain that we feel when we read, as I did yesterday, about another animal species possibly heading towards extinction. In this case, an item on the BBC News website about Cheetahs. 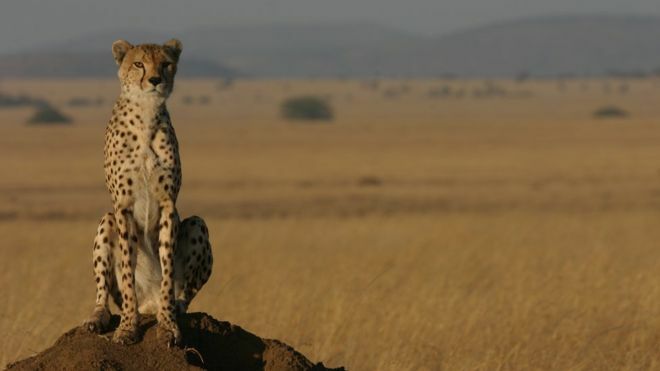 Protected parks and reserves for cheetahs are not sufficient as the animal ranges far beyond these areas. It’s no good tut-tutting; something different has to be done. For otherwise nature will have the last word to say about the future of vast numbers of species especially homo sapiens! 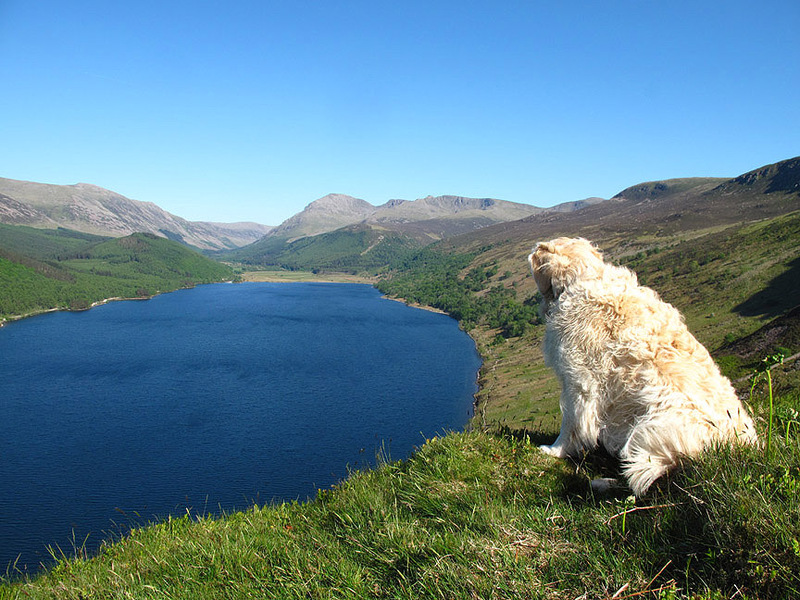 All of which leads me to the main theme of today’s post: holding nature in higher esteem as in higher legal esteem. Read the following that was published on The Conversation blogsite on October 10th, 2016 and is republished here within their terms. The author is Chip Colwell , Lecturer on Anthropology, University of Colorado, Denver. But that’s not the only instance of extending legal rights to nonhuman entities. 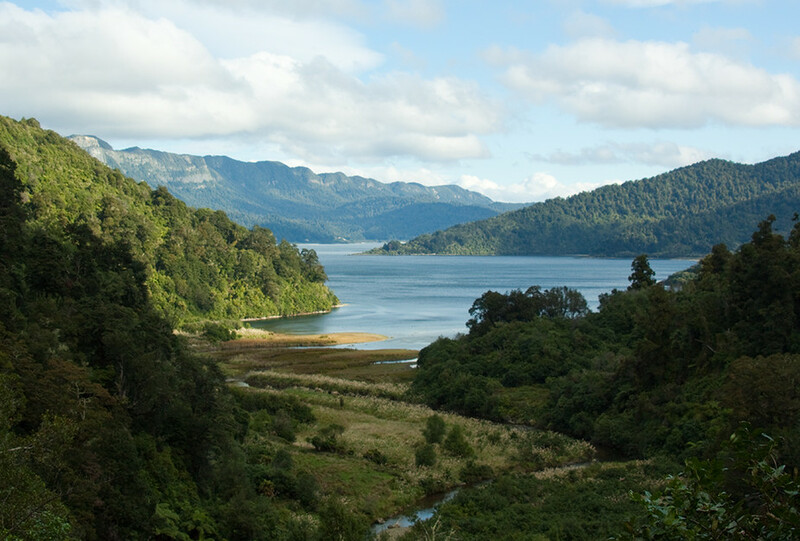 New Zealand took a radically different approach in 2014 with the Te Urewera Act which granted an 821-square-mile forest the legal status of a person. The forest is sacred to the Tūhoe people, an indigenous group of the Maori. For them Te Urewera is an ancient and ancestral homeland that breathes life into their culture. The forest is also a living ancestor. The Te Urewera Act concludes that “Te Urewera has an identity in and of itself,” and thus must be its own entity with “all the rights, powers, duties, and liabilities of a legal person.” Te Urewera holds title to itself. A majestic mountain sits not far northwest of Albuquerque, New Mexico. Like a low triangle, with long gentle slopes, Mount Taylor is clothed in rich forests that appear a velvety charcoal-blue from the distance. Its bald summit, more than 11,000 feet high, is often blanketed in snow – a reminder of the blessing of water, when seen from the blazing desert below. 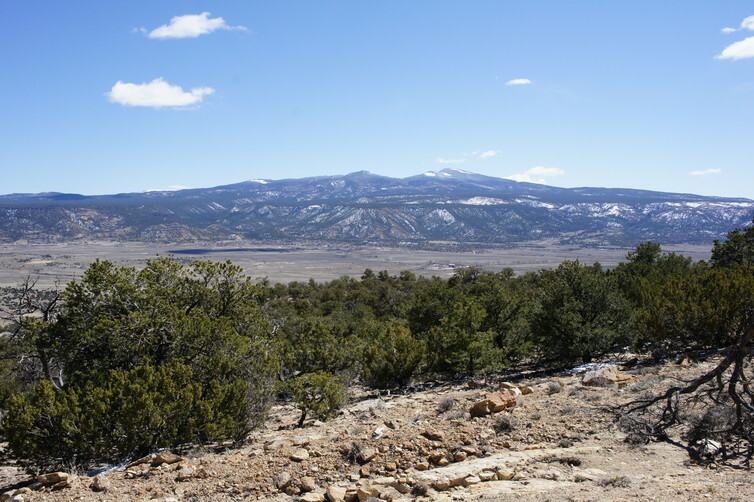 Mount Taylor in New Mexico, a sacred site to the Zuni who believe it is a living being. Chip Colwell, Author provided. 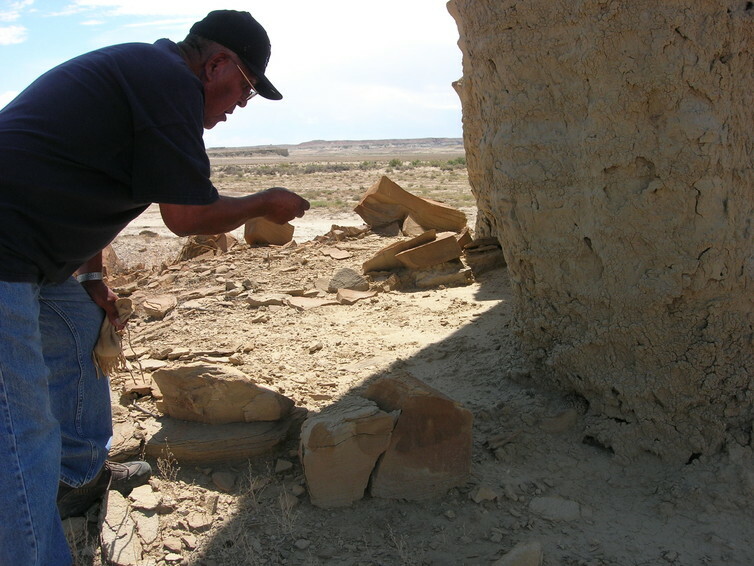 A Hopi elder making an offering to a snake to protect a sacred space. Chip Colwell, Author provided. Inner Thinking: Of dogs and humans. We are what we think about most. 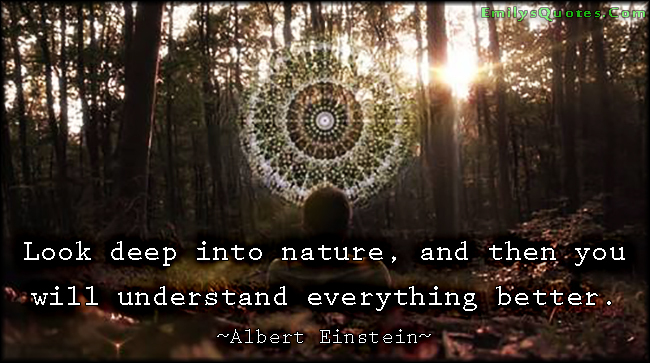 Thus said Albert Einstein (1879-1955). Intuitively, it strikes one as correct. However, reflect for a few moments on how you think and very quickly it becomes clear that how you think is based on deep-seated experiences and the learnings that flow from those experiences. Just as relevantly, perhaps more so, is that how we behave is based on those same deep-seated experiences and subsequent learnings. This offers a clue as to why bringing about lasting, behavioural change can often feel like pushing water uphill! Back to humans. When Jon wrote on his site, “…. how you think …… is based on deep-seated experiences ….”, what I heard is that for us humans there are many times when we cannot actually tell ourselves what we are feeling. That is why we need the counselling of someone who has the professional training and experience to expose those deep emotional and psychological drivers within us; those drivers that are normally out of sight from us. In my own case, how my father’s death was managed by my mother back in December, 1956 left an emotional wound that was totally out of sight from my conscious mind for 50 years. The emotional crisis that I went through back then was discovered by Jon to have its roots back in December, 1956. By a massive stroke of fortune Jon gave me the insight into that mental place of old and a year later I met Jean down in Mexico. The challenge is having sufficient self-awareness to know when an aspect of our behaviour requires the support of the Jon Lavins of this world. So what would we require from a counsellor, from a therapist, who was working with us to uncover those hidden aspects? In other words, in terms of assessing that therapist what’s the difference that would make the difference? Naturally, I don’t have the skills to answer that question in any direct, professional manner. But if I look down at our dogs then a form of answer does ‘speak’ to me. Dogs are creatures of integrity, openness and trust. They relate to us humans and other known dogs around them through friendship and love; frequently unconditional love. A therapist who embraces those values; nay, lives those values, would display that very quickly after meeting with the ‘client’. Any person seeing that in a therapist would be seeing the difference that makes the difference. Good people, I’m not asking any of you who read this to divulge any personal stuff but, nonetheless, I would love to hear your thoughts on what I have written today! Celebrating the life and times of Albert Einstein. March 14, 1879. This is the anniversary of the birth of Albert Einstein, undoubtedly the most famous scientist of the modern era. Einstein was born in Ulm, Germany, where an uncle – Jakob Einstein, an engineer – introduced him to science and math. At age 17, he enrolled in the Swiss Polytechnic Institute after failing the entrance exam the previous year. He graduated in 1900, and in 1902 he became a junior patent examiner in the Swiss Patent Office in Bern, Switzerland, where he specialized in electrical devices. The year 1905 came to be known as Einstein’s Miracle Year. He was 26 years old, and in that year he published four papers that reshaped physics. But a recent documentary that was published on Top Documentary Films was really fascinating and incredibly well presented. Thus, in terms of the likes of you and I better understanding what Einstein revealed about our universe, I couldn’t resist sharing it with you all today. It is just 29 minutes long. One hundred years have passed since Albert Einstein first unleashed his highly influential Theory of General Relativity unto the world. These revelations charted a future course of scientific pursuit, and never cease to inform our understanding of the universe today. In celebration of that impressive legacy, the documentary short Einstein’s Extraordinary Universe travels to three research facilities in different regions across the globe, and shows us how Einstein’s work continues to challenge, shape and inspire the scientific discoveries of tomorrow. The film opens in Tuscany. Under the shadows of Galileo’s groundbreaking work on gravity research, a group of astrophysicists are exploring Einstein’s theories related to the occurrence of gravitational waves through space and time. Can modern technologies and advanced scientific intellect result in actual proof of such waves? Viewers are then taken to the world’s largest underground laboratory. Hidden far beneath Italy’s Gran Sasso mountains, the lab serves as a home to researchers who work tirelessly to prove another of Einstein’s grandiose theories: the existence of dark matter. The vast majority of our universe is made up of materials that we have not yet been able to detect through forces of light and energy. The dedicated team who toil away in this impressive underground lair hope they can lay the groundwork in changing that. The filmmakers’ next stop is Switzerland, where they are given a tour of one of the most impressive displays of scientific testing technology on the planet. Housed by the European Organization for Nuclear Research, or CERN, the Large Hadron Collider is the most powerful particle accelerator on the planet, and is being used to question and examine the substance of all matter in our universe. Through each destination on this incredible journey, what amazes most is how prescient Einstein’s theories have proven even after a century has passed. His work continues to test the limits of our scientific understanding, and sets a groundwork from which researchers still strive for answers. Featuring a plethora of illuminating interviews with many top figures in the fields of scientific study, Einstein’s Extraordinary Universe is certain to delight seasoned science geeks and novices alike. What an extraordinary mind he had! It really is about good people refusing to let evil dominate our world. The response to yesterday’s post was incredible and very gratifying. If there was one sentence of yours that struck me as spot on, it was your declaration that what we think is what we create. Or as I often reflect, we are what we think. Jean and I last night watched the latest BBC Panorama report about the migrant/refugee crisis in Europe. It was profoundly upsetting for reasons that many will understand. George Monbiot’s essay that follows shortly is also profoundly upsetting. George Monbiot is to be saluted for his commitment to questioning and I am privileged to have his permission to republish the following. There may be water on Mars. But is there intelligent life on Earth? Evidence for flowing water on Mars – this opens up the possibility of life; of wonders we cannot begin to imagine. Its discovery is an astonishing achievement. Meanwhile, Martian scientists continue their search for intelligent life on Earth. We might be captivated by the thought of organisms on another planet, but we seem to have lost interest in our own. The Oxford Junior Dictionary has been excising the waymarks of the living world. Adders, blackberries, bluebells, conkers, holly, magpies, minnows, otters, primroses, thrushes, weasels and wrens are now surplus to requirements. In the past four decades, the world has lost 50% of its vertebrate wildlife. But across the latter half of this period, there has been a steep decline in coverage. In 2014, according to a study at Cardiff University, there were as many news stories broadcast by the BBC and ITV about Madeline McCann (who went missing in 2007) as there were about the entire range of environmental issues. Think of what would change if we valued terrestrial water as much as we value the possibility of water on Mars. Only three percent of the water on this planet is fresh, and of that two-thirds is frozen. Yet we lay waste to the accessible portion. Sixty percent of the water used in farming is needlessly piddled away by careless irrigation. Rivers, lakes and aquifers are sucked dry, while what remains is often so contaminated that it threatens the lives of those who drink it. In the UK, domestic demand is such that the upper reaches of many rivers disappear during the summer. Yet still we install clunky old toilets and showers that gush like waterfalls. As for salty water of the kind that enthralls us when apparently detected on Mars, on Earth we express our appreciation with a frenzy of destruction. A new report suggests that fish numbers have halved since 1970. Pacific bluefin tuna, that once roamed the seas in untold millions, have been reduced to an estimated 40,000, yet still they are pursued. Coral reefs are under such pressure that most could be gone by 2050. And in our own deep space, our desire for exotic fish rips through a world scarcely better known to us than the red planet’s surface. Trawlers are now working at depths of 2000 metres. We can only guess at what they might be destroying. A few hours before the Martian discovery was announced, Shell terminated its Arctic oil prospecting in the Chukchi Sea. For the company’s shareholders, it’s a minor disaster: the loss of $4 billion. For those who love the planet and the life it sustains, it is a stroke of great fortune: it happened only because the company failed to find sufficient reserves. Had Shell succeeded, it would have exposed one of the most vulnerable places on Earth to spills that are almost inevitable, where containment is almost impossible. Are we to leave such matters to chance? At the beginning of September, two weeks after he granted Shell permission to drill in the Chukchi Sea, Barack Obama travelled to Alaska to warn Americans about the devastating effects that climate change, caused by the burning of fossil fuels, might catalyse in the Arctic. “It’s not enough just to talk the talk”, he told them. “We’ve got to walk the walk.” We should “embrace the human ingenuity that can do something about it.” Human ingenuity is on abundant display at Nasa, which released those astounding images. But when it comes to policy, the search for intelligent life goes on. Let the market decide: this is the way in which governments seek to resolve planetary destruction. Leave it to the conscience of consumers, while that conscience is muted and confused by advertising and corporate lies. In a near-vacuum of information, we are each left to decide what we should take from other species and other people; what we should allocate to ourselves or leave to succeeding generations. Surely there are some resources and some places – such as the Arctic and the deep sea – whose exploitation should simply stop? All this drilling and digging and trawling and dumping and poisoning – what is it for anyway? Does it enrich human experience, or stifle it? A couple of weeks ago, I launched the hashtag #extremecivilisation, and invited suggestions. They have flooded in. Here are just a few of the products my correspondents have found. All of them, as far as I can tell, are real. Every year, clever new ways of wasting stuff are devised, and every year we become more inured to the pointless consumption of the world’s precious resources. With each subtle intensification, the baseline of normality shifts. It should not be surprising to discover that the richer a country becomes, the less its people care about their impacts on the living planet. Our alienation from the world of wonders with which we evolved has only intensified since David Bowie described a girl stumbling through a “sunken dream”, on her way to be “hooked to the silver screen”, where a long series of distractions diverts her from life’s great questions. The song, of course, was Life on Mars. The reason I went searching for a quotation on reality was that our, as in humans, ability to see the world in grossly distorted ways jumped ‘off the page’ at me when I was reading a recent essay from George Monbiot. Followers of Learning from Dogs will know that Mr. Monbiot has featured before; most recently just under a month ago in a post Returning to Nature. Before then in April when George gave permission for the full republishing of his essay The Great Unmentionable. Why the notion of humans seeing reality in grossly distorted ways? Simply because in George Monbiot‘s following essay he challenges what we mean by the word ‘wildness’ and I immediately realised that my own idea of wildness was badly corrupted. See if you react the same way as you read The Naturalists Who Are Terrified of Nature by George Monbiot, republished in full with the kind permission of George. Will leave you with the following picture. Solutions to present times: A guest post. John Hurlburt writing as ‘an old lamplighter‘ has been a regular contributor to Learning from Dogs. Indeed, just last Friday in my rather introspective post, Maybe home is found in our quietness, I included John’s beautiful Evening Meditation. The day before that post, John sent me the following (the picture below is my contribution to John’s essay!) It’s a reflection on both the absurdity of modern times and the simplicity of the answers. In return for a local pet store patronage, today’s cost savings included free bird seed. Meanwhile, our economic system squanders our common wealth. The agendas of rich and powerful people who don’t want anything to change are reflected by FAUX News. What we have on our hands is an absurd interpretation of reality, which is made up as they go along. Politics has become a game of “Can You Top This”; with no limits. There’s a question about our collective level of sanity. Our shared crisis mounts as our demographic increases and our natural resources are depleted accordingly. The fact is that we’re beyond the carbon limits the atmosphere requires to maintain the inclusive well-being of life on earth. And we’re damaging the surface layer of the planet that sustains us all in the process. The answers are simple and natural. Here are five quick examples and a conclusion of sorts. 1. Diesel fuels run the majority of the world’s heavy machinery. Switching from carbon-based diesel fuels to natural bio-fuels, as per the original design by Rudolf Diesel, would have a profound effect on carbon pollution as well as fostering green innovation and industry. No modification of any on-line diesel engines would be required. As a matter of fact, they’d probably run more efficiently. Solution: Economic advantage of using bio-fuels. 2. Re-establishing human rights may be best accomplished through increased awareness of our fragile unity as a species. The openness, honesty and integrity of Creation lights the way each day and lends serenity to our reflections. Solution: Accept that deliberate human war and related destruction of the earth is empty, has no future, and is contrary to the purpose of human life. Incidentally, when we put a natural floor under the global economy we’ll save our collective bacon in the process. Transitioning military forces to support green economic development opportunities might be a possibility if we decide to take life seriously enough to make a real difference. 3. Re-establishing a realistic base for a global economy that’s swollen 25 times beyond any material planetary resource foundation may best be accomplished by transitioning to green industries that benefit our planet, nations, communities and the sanctity of life in general. A modification to our technically driven financial system is needed. 4. Re-establishing common law with inclusive equality and justice may be best accomplished by an in-depth examination of personal beliefs values, motives and actions in terms of respect for whatever Higher Power we may believe there to Be, compassion for Creation and the realization that we’re all living in and on the same life boat. Solution: Education, formation and transformation based upon the facts of reality that we know in our present state of development and the far greater Reality which transcends our being and our current understanding based upon reason alone. For example, Einstein’s General and Special Theories of Relativity tell us that we are in the process of turning inside out without breaking. A phrase that comes to mind is “transrational reality”. When we step beyond “self” we see the world through new eyes. 5. Agreeing on an equitably interactive and enforceable world-wide corporate, government, labor, and service organization wage scale may best be accomplished by listening to the voices of economic reason which tell us that money is only a symbol. Rationale: Everything fits together. Change is constant. Life needs to adapt to survive. In Unity there is strength. At our best, we care for the earth and each other. Inclusive solution: Surrender to Reality. The global system is broken, Resources are limited. It’s time to wake up. It’s time to change. A sustainable and growing green economy benefits everyone on earth. Pure mathematics is, in its way, the poetry of logical ideas. Albert Einstein. I have never been proficient at mathematics. But that doesn’t mean that I am not fascinated by the field of maths. Hold that in your thoughts as I mention the name of blogger: Patrice Ayme. It’s a non-de-plume but so what! What blows me away, to use the vernacular, is the depth of thought expressed through the keyboard of Mr. Ayme (even the gender is an assumption). The sub-heading on the home page of his blog is “Intelligence at the core of humanism“. Just run your eye down the list of Recent Posts to the right-hand side of the home page to get a feel for the topics covered in the last few months. Impressive is an understatement! Anyway, five days ago Patrice published a post proposing how the Neanderthals were outbred, under the title of Math Extinguished Neanderthals. 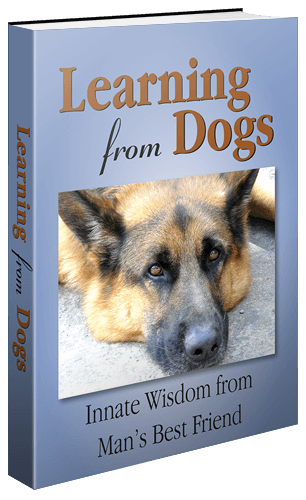 It fascinated me and Patrice was gracious in allowing me permission to republish it on Learning from Dogs. 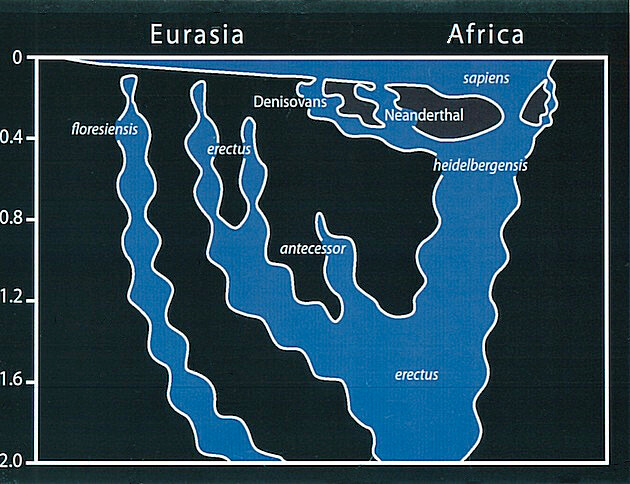 Zillions of theories about the “disappearance” of Neanderthals. The latest one, from Oxford University, claims that Neanderthals’ big, beautiful eyes, and their big muscles caused their demise. They were too busy looking at things, and flexing their muscles. The idea is that significantly larger eyes would have crowded the Neanderthal brain out, making them relatively stupid. In particular it made them incapable of having social groups as large as those of Homo Sapiens Sapiens. 50,000 years ago, Neanderthals exterminated Cave Bears, a huge animal who lived in caves, prime real estate Neanderthals craved for. Could the disappearance of Cave Bears be logically linked to the disappearance of Neanderthals? Yes. That’s a consequence of my theory. More advanced technology played a direct role. How did Neanderthals kill Cave Bears? With technology. We do not know exactly what weapons Neanderthals had at their disposal. However, technology had improved, and kept improving. Recently it was found that Sapiens Sapiens (Homo SS; I hope one gets the joke) in Africa had invented bows and arrows 80,000 Before Present (BP). (About 60,000 years earlier than previously thought!) Before bows and arrows, the propeller had been invented, and was used in Europe. The propeller took advantage of angular momentum to send a sort of mini lance further and stronger than by hand. To simplify, let’s use a bit of exaggeration (that’s reasoning by exaggeration, one of my preferred tactic of thought; the one humor exploits, and why joking helps thinking). Let’s assume Neanderthals were twice more massive than Homo SS. Note 1: what of the mentally deliquescent and racist article in the Proceedings of the Royal Society? First, they sank so low as to“using orbit size as a proxy, that Neanderthals had larger visual systems than contemporary AMH [Anatomically Modern Humans]“. That’s about as intelligent as saying that, because special forces use night vision goggles, they have got to have bigger visual systems. Note 2; what catastrophes am I talking about? Well the climate fluctuated wildly, to start with. Second, A Campanian ignimbritevolcanic super-eruption around 40,000 years ago, followed by a second one a few thousand years later, certainly crashed Neanderthal populations (based on logic, and evidence fromMezmaiskaya cave in the Caucasus. Mitochondrial DNA analysis of a specimen there is C14 dated 29,000 years BP, one of the latest living pure Neanderthals). After such a catastrophe, the exponential rebounds of populations would have advantaged Homo SS, as explained above. Note 4: A preferred trick of Neanderthals’ haters is to exhibitArchaic Neanderthals‘skulls, and compare them to those of modern men. The skull of an Archaic Neanderthal of 400,000 years ago should not be compared to a modern human, less than 40,000 year old! All the more since Neanderthals’ brain size augmented faster than the brain size of Homo Sapiens Sapiens. Note 5: Part of the mechanism above generalizes for other species in competition. It provides with a disappearance mechanism after ecological turbulence, according to species’ ecological footprint. So hope that others shared my pleasure at reading the essay.